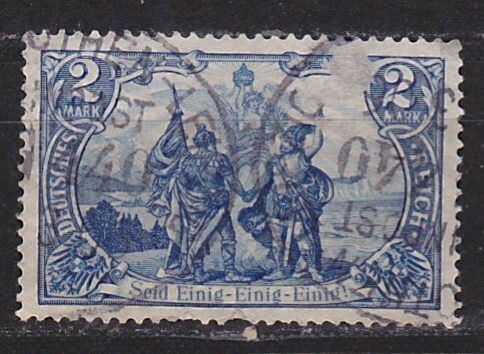 PostmasterGS enlightened me regarding some German postmarks in an earlier thread and now I have become interested in German Railway postmarks. 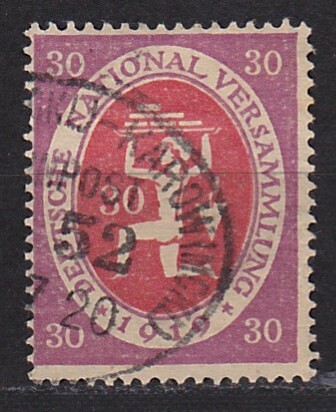 First, if you are interested in looking for them in your collection, go to this website to find a long list of "bahnpost" postmarks that I found using the search feature on the Stampsx.com website. If not already filled in, you will need to type the word "bahnpost" in the field that says, "Text im Stempelgerät oder Teile davon" and then click on the search button at the bottom. You will see a list of bahnpost postmarks that you can click on for more information. I am sure many or most of us will need to use Google translate feature or the translator for you particular web browser to understand what you see in front of you as the website is in German. What to look for? 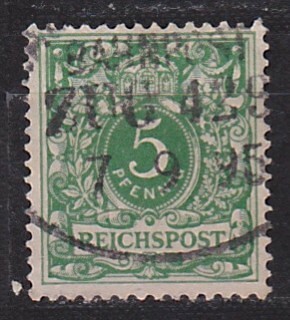 Oval postmark, the word "bahnpost" somewhere on the inside of the oval, the word "zug" or letter z and a large numeral afterward denoting the train number. 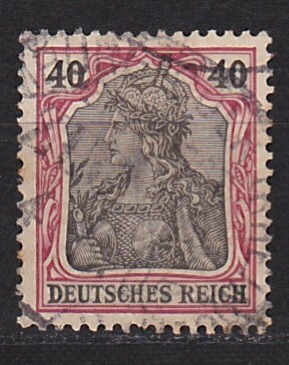 What follows are some of the "bahnpost" or railway postmarks I found on my stockpages and in my album. 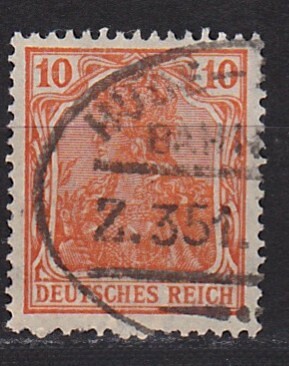 Possibly zug 17 (train 17) though there does not seem to be a record of this postmark on the website. The town name is not complete and does not match up with any town listings on the site either. I could not find this train in the database. 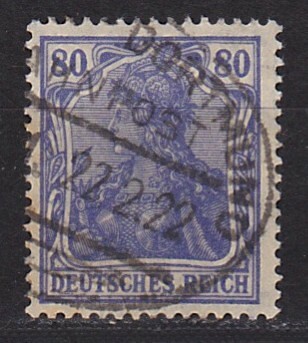 This is another postmark I could not find in the Stampsx.com database. Your Zug 440 is from the Magdeburg-Cöthen-Leipzig line. Similar cancel from Zug 444 of the same line is shown here. Your Zug 63 is from the Cöln (Rhein)-Aschaffenburg line. The Zug 4 is tough. Let me do some color manipulation and see if I can draw out the cancel. The Zug 52 is probably from the Rostock (MCKL)-Karow (MCKL) line. Similar cancel here. The Zug 351 is Hude-Blexen. Similar cancel here. The Dortmund Bahnpost is probably Aachen-Dortmund. Similar cancel here. The Zug 608 is probably Braunschweig-Oschersleben. It's the only Braunschweig line where the second word starts with "C or "O", and t has a Zug 608 at one point. Last one is probably Gaualgesheim-Münster. Ludwigslust Zug 28 Bahnpost on Scott# 55. Berlin Z 802 Bahnpost on Scott# 140. Troppau 801 Bahnpost on Scott# 47. The Ludwigslust cancel is Wismar-Ludwigslust. The Berlin cancel is Berlin-Eisenach. 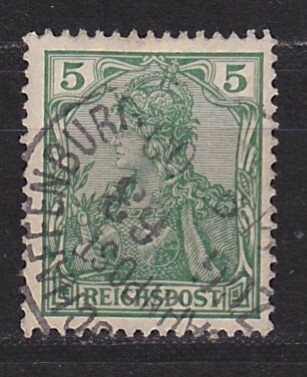 The Merseburg cancel is probably Merseburg-Querfurt. 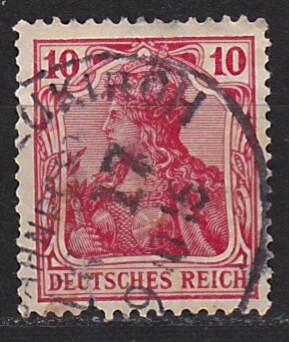 The Troppau cancel is probably Bauerwitz-Troppau. German postcard with railway cancel ZUG 1352 dated 30-8-07 with railway line APPENWEIER- ?. German postcard with railway (Bahnpost) cancel ZUG 407 dated 23-12-02? with railway line AACHEN - ?? German postcard with railway (Bahnpost) cancel Zug 509 dated 13-10-35 with railway line KOLN - FRANKFURT ? ?